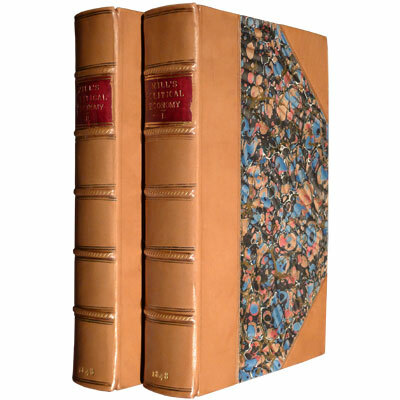 Three elegantly bound volumes of works by the three Greek pastoral poets, Theocritus, Bion and Moschus. Finely printed by the De Vinne Press, with the text in Greek with the English translation on the opposing page. 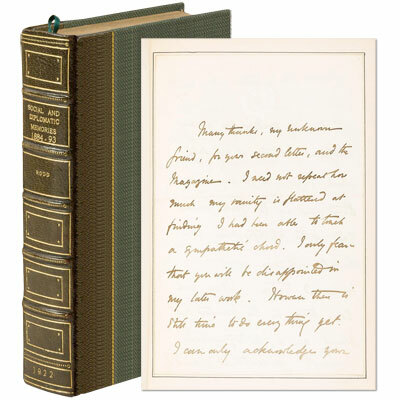 Illustrated title pages, and an introduction by William Cranston Lawton. 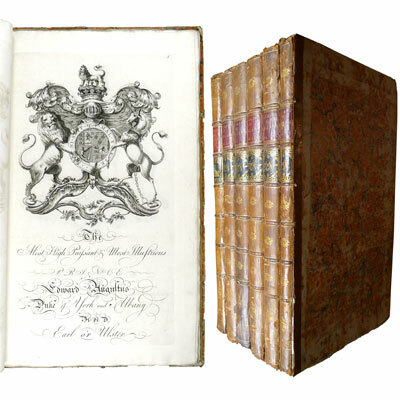 A scarce, fine and inscribed first edition of the history of private banking house of Child & Co., one of the oldest private banks in the United Kingdom, who has traded from No. 1 Fleet Street since 1673, under the ‘Marygold’ sign. 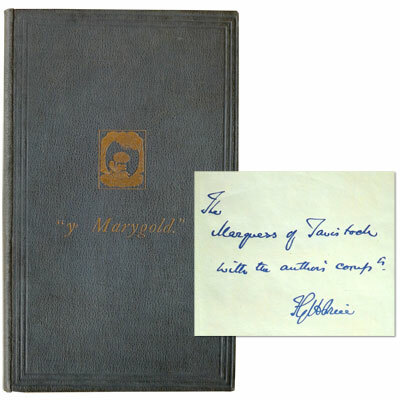 This copy is inscribed from the author, F.G.H. Price to the Marquess of Tavistock, 8th Duke of Bedford, whose family had at that date been banking with Chlid & Co., for two centuries, the first Duke of Bedford opened his account in 1679. Stock Market Profits - R. W. Schabacker, M.A. ‘One of the early interpreters of the Dow Theory, editor of Forbes Magazine, Schabacker is the only author credited in the chartist’s bible, Technical Analysis of stock trends, by Edwards and Magee. Remarkably, by the time of his early death at age 36, he had produced three major works on the stock market, which are considered”among the most influential ever written on the technical side of the market” by Schultz and Coslow [A Treasury of Wall Street Wisdom]. Schabacker is also remembered for his warning in September 1929 of an “impending major reaction”.’ - Dennistoun, Bubbles, Booms and Busts. ‘A comprehensive survey of current mechanism, practic and theory, by the financial editor of Forbes magazine’ [Larson, Guide to Business History].